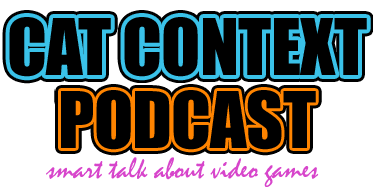 Episode 45 of the Cat Context Podcast is now available! This week, Liore, Arolaide, and Ellyndrial decided to talk about the Elder Scrolls Online and Titanfall betas. In true Cat Context fashion, we immediately went off the rails and instead had a long and passionate discussion about the meaning of “player generated content” and how it fits into the context of MMOs going forward. The future of Sony Online Entertainment-produced MMOs is apparently sandboxes because (some) players gobble up content too quickly and the studios don’t feel they can keep up. So they’re turning to the players and hoping that we generate our own content. But what, exactly, does that mean? Is it going to be a future full of EQ Next Landmark/RIFT dimension housing? Where does PvP fall? Needless to say, we are not all in alignment on this one, and vigorous discussion occurs! And yes, we do manage to get in a little discussion of TESO and Titanfall. To listen, head on over to the official episode page, hit us up on iTunes, or check out our YouTube channel! Please continue to send in ratings, comments, and questions. It’s great to hear from you, and we appreciate the feedback. Extra Life 2014 is Tomorrow!